Kofu City, the capital of Yamanashi Prefecture, is surrounded by Southern Japan Alps and has flourished as a castle town since the old days. Kofu is deeply associated with Takeda Shingen, a famous general from the Warring States Period. The area has many sightseeing spots connected to Takeda Shingen. Currently, Kofu City is known not only for the economic, cultural and industrial center in Yamanashi Prefecture, but also for its stunning beauty of nature, including the most beautiful valley in Japan, Mitake-Shosenkyo. 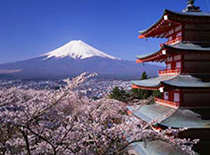 Isawa area is located in the east of the Kofu basin and well known for the highest peach and grape production in Japan. 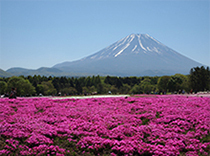 Known for its amazing scenery with seasonal landscape, such as cherry blossoms, azalea and colored leaves, its hiking trails with picturesque cliffs and waterfalls fascinate people all over the world. 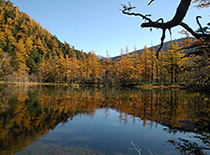 Especially, beautiful autumn landscape in grand nature has been receiving favorable reputation. It is with a large difference in elevation, we can enjoy the beautiful autumn colors for more than one month. 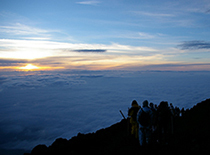 The hiking trail is pleasant and easy one with fantastic viewpoints. 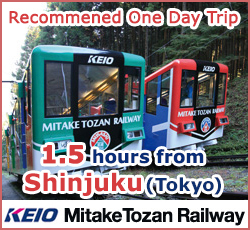 Other than, hiking, Shosenkyo Ropeway up to the top offers amazing views of Mt. Fuji, the very interesting Arakawa Dam and Nosen Lake. 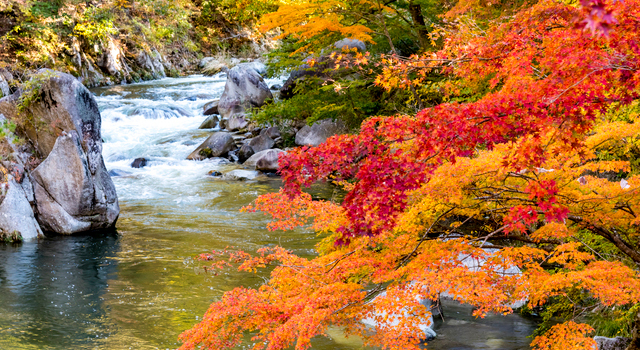 Shisenkyo Gorge is located outside of central city of Kofu and would be perfect destination for a day trip from Tokyo. 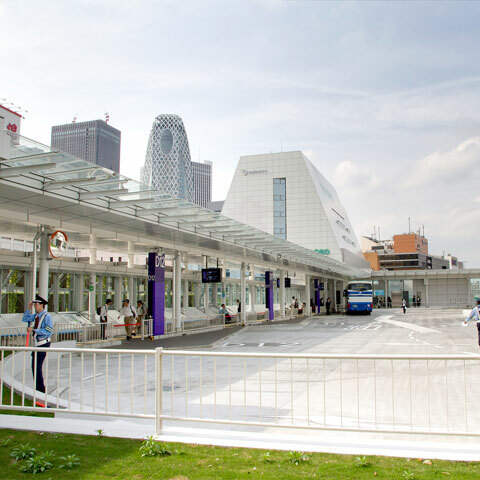 *From Kofu station, please take a bus bound for "Shosenkyo" from the bus stop No.4 at South Exit Bus Terminal. Katsunuma is well-known for vineyards. 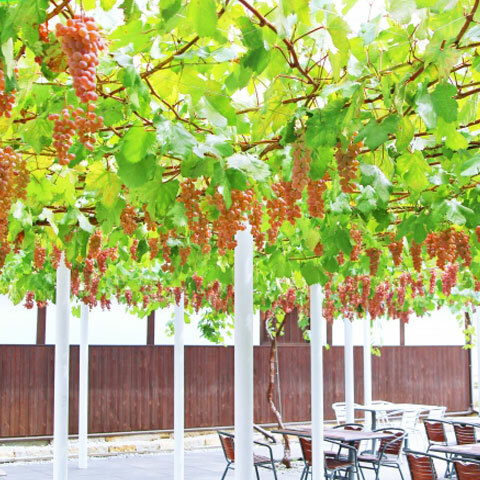 In a winery in Yamanashi, the quality of wine has been maintained through a consistent process of raise grapes and vinification. Visit to the vineyard and wine tasting is available. There are 2 wineries and vast vineyard. Winery tours are available. "Chateau Mercian" and its long history marked an epoch in the Japanese viticulture. The factory is open to public, and there are variety of wine to taste. The winery is open to public, and you can enjoy wine tasting and visiting wine cellers. 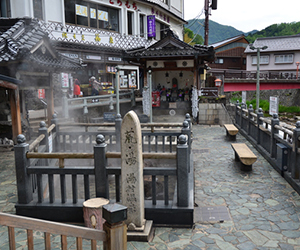 The origin of Yumura Onsen in Kofu dates back 1200 years ago and discovered by Kobo Daishi Kukai, who established Shingon Sect. in Buddhism. 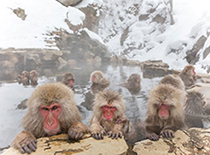 It is well-known as hidden onsen of Takeda Shingen, a preeminent warlord in the 16th century. It is close and convenient for a trip to Shosenkyo Gorge. The onsen resort consists with not only Japanese-style automorphic ryokan but also reasonable or western hotels. Ryokan and hotels can issue tickets with unlimited entrance to onsen in the resort to stroll the resort and try various onsen.